They look ready for the game! LOL that for a minute looked like a mug shot. Go Pats go. Have a serene Sunday. Yes, we also have a football post too! Woof! Hike hike hike! Eat eat eat nap nap nap. That is all I know about football. BOL! 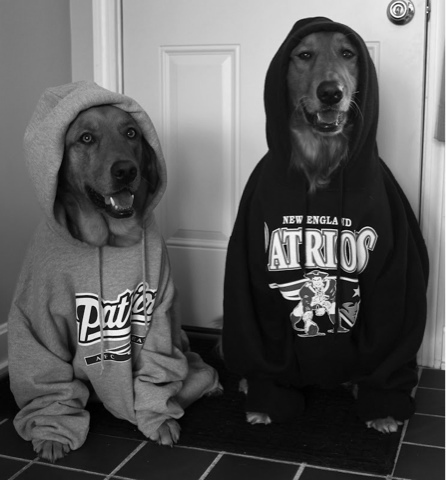 The two of you look prepared for the football season. Mr. N has no gear whatsoever... maybe I should get him a jersey? LOVE it!!! And yes, GO PATS -- always -- but man that was a nail biter!